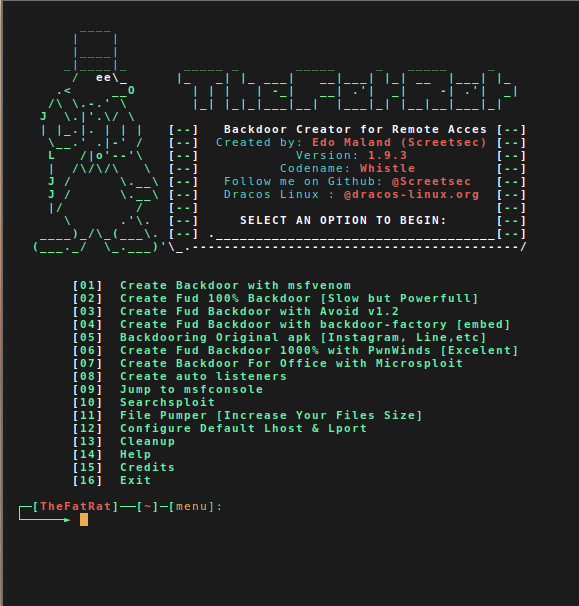 TheFatRat is an easy-to-use Exploitation Tool that can help you to generate backdoors and post exploitation attacks like browser attack DLL files. This tool compiles malware with popular payloads and then the compiled malware can be executed on Windows, Linux, Mac OS X and Android. The malware that is created with this tool also has the ability to bypass most AV software protection.